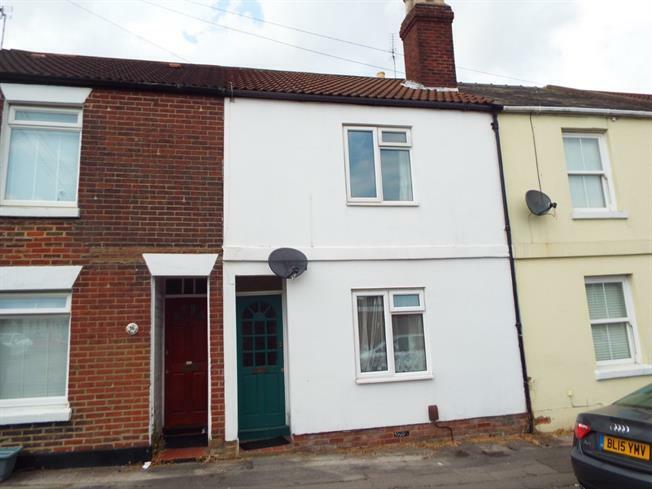 2 Bedroom Terraced House For Sale in Southampton for Asking Price £214,950. Single radiator, stairs to first floor. Double glazed front elevation window, double radiator, feature fireplace. Comprising close coupled w.c., pedestal wash hand basin, panelled bath with mixer taps and shower attachment, curtain and rail, double glazed rear elevation window, extractor, single radiator. Double glazed rear elevation window, double built-in wardrobe, single radiator. Double glazed front elevation window, single built-in wardrobe, double built-in wardrobe, single radiator. The rear garden is enclosed and paved.